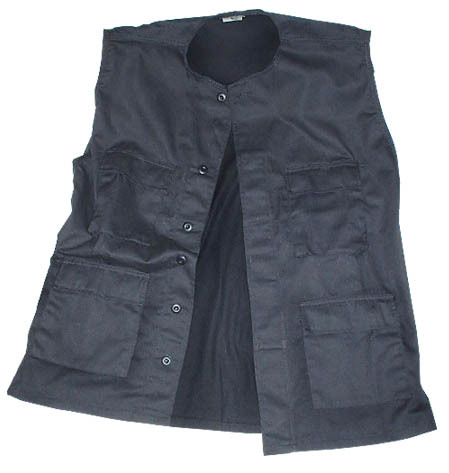 The Vest looks like a military black BDU shirt with it's sleeves cut off. The movie vests were most likely custom sewn. 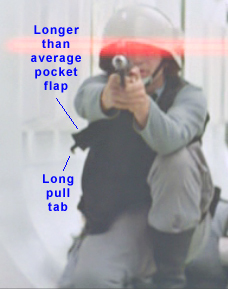 The long pockets along the bottom of ILM vests are very uncommon for traditional BDU shirts. 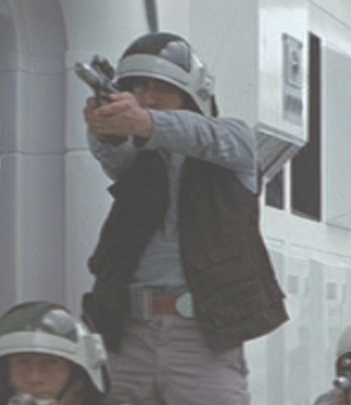 A common misconception about the RFT Vest is that it was simply a longer version of Han Solo's vest. While the two vests are similar in look, they are designed very differently. 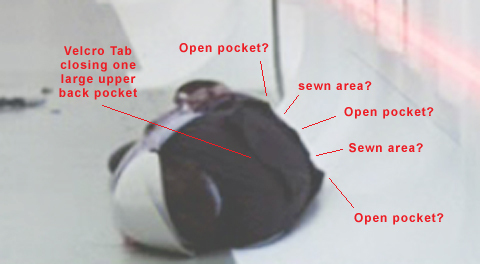 An image in the Reference Section clearly shows the back of Han Solo's vest, and you can compare the differences. For our vest we cut off the sleeves and the collar from a standard modern day BDU Shirt (we ordered a BDU shirt, not the jacket. The jacket was too bulky). We cut the sleeves all but 1/2 inch from the shoulder seam. We then tucked that extra under and stitched it to the main body of the shirt. We duplicated this process for the collar also. 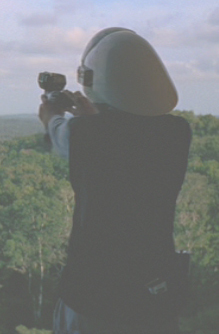 Upon getting some inquiring email from a Simon Graham, I took some time to research the RFT vest pockets via screencaptures taken from the Star Wars DVD that came out in 2004. 1 - Right Breast pocket - long vertical pocket, long flap and long pull tab on flap. 1 - Right Bottom Pocket - horizontal, long, and most likely stops at side seam of vest. 1 - Left Diaphram pocket - Medium sized, squarish. 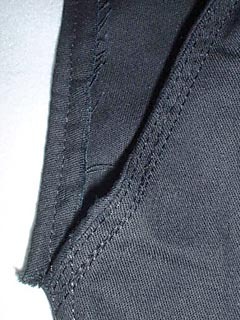 1 - Left Bottom Pocket - horizontal, long, and most likely stops at side seam of vest. 0 - Left Breast pocket - I saw no left breast pocket in any DVD shots (email me if you want to discuss/dispute this, i am open for research discussion). 1 - Large squarish pocket that spans 80% of the width of the back area - Open on top (no flap), 2 inch long Velcro tab closes pocket at top. Note: not all RFT troopers had back pockets. A couple troopers had no pockets on their back, and a couple only had the large upper back pocket. Below are some images that we marked up in our research. Email us if you want to discuss/dispute our findings. We only researched one or two hours, so we might have missed some details.